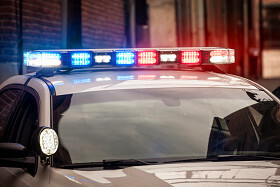 A New Jersey State Police sergeant has been charged with records tampering for allegedly skipping a required step in the calibration of alcohol breath-testing devices, documents show. 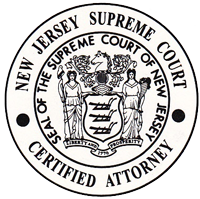 The disclosure could open up more than 20,000 DWI cases to court challenges, according to a copy of a letter sent to court administrators and obtained by NJ Advance Media on Monday. Sgt. Marc Dennis, a coordinator in the State Police Alcohol Drug Testing Unit, is accused of third degree tampering with public records and fourth degree falsifying or tampering with records, according to the letter, sent Monday by the state Division of Criminal Justice, which brought the charges. Elie Honig, the division’s director, wrote that Dennis was accused of deliberately omitting a step in re-calibrating three Alcotest devices — more commonly known as breathalyzers — which are used to test the intoxication level of accused drunken drivers. Dennis’ attorney, Robert Ebberup, said Monday his client denies the charges and plans to plead not guilty. Lt. Brian Polite, a spokesman for the State Police, said Monday that Dennis’ behavior was noticed by his supervisor and “immediately reported” to the division’s internal affairs unit, the Office of Professional Standards. “Once it was determined that there was a possibility of criminal charges being filed, it was then referred to Division of Criminal Justice,” he said. Honig said the alleged omission does not undermine the scientific credibility of any State Police test results. But Dennis calibrated Alcotest instruments in Middlesex, Monmouth, Ocean, Somerset, and Union counties over the course of seven years, and state authorities have identified 20,667 individual cases involving devices he handled, according to the letter. The accusation could create a tangle of litigation similar to another State Police case involving a drug lab technician, Kamalkant Shah, who was accused of falsifying test results in a single marijuana case, bringing nearly 15,000 drug cases into question. As in the drug lab case, the Attorney General’s Office has requested a judge be appointed as a “special master” to field the potential glut of appeals. State authorities allege that Dennis falsely certified to performing temperature checks when recalibrating the Alcotest devices, which were used in two DWI cases before being taken out of service. Honig said that step, while not scientifically necessary, is required under a procedure developed by the State Police’s chief forensic scientist. That procedure was created to comply with a state Supreme Court decision regarding the admissibility of DWI test results in court, known as State v. Chun, the letter said.